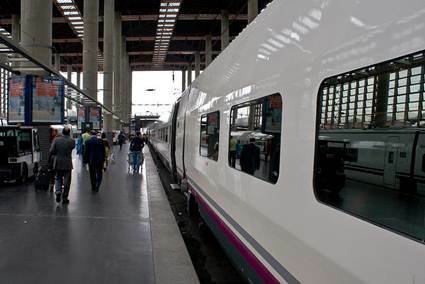 Although Madrid is full of wonderful adventures, the Spanish rail system offers excellent opportunities for day trips through the beautiful countryside to other fascinating destinations. You can start your day at an affordable hotel like the Petit Palace Tres Cruces (or any other great Madrid hotel listed at Hostelbookers.com, the budget travel specialists), have a marvelous adventure and be back in your cozy hotel room by nightfall! Climb aboard the Refre railway to experience the laid-back atmosphere of this coastal Spanish town while enjoying beautiful scenery along the way. The journey takes two and a half hours and winds through the some spectacular landscapes. 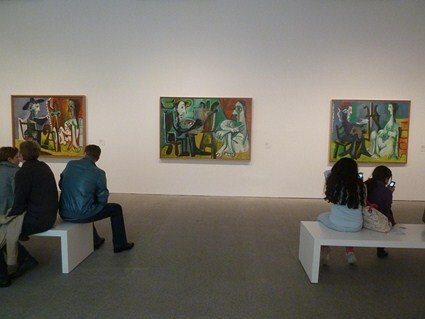 Once in Malaga, you can tour historic sites like the Alcazaba, a Moorish castle built in the 11th century, or learn more about Picasso by touring his birthplace at the Picasso Museum. Catch some rays on the beaches of Sitges, refered to as the Saint-Tropez of Spain, on a three hour ride aboard the FGC (Generalitat de Catalunya) railways. This artsy town has year-round attractions but really gets hopping during Carnival that begins on Fat Tuesday or the Sitges Film Festival in the summer. Known for its tolerant attitude, it is a popular destination for gay and lesbian travelers and has an abundance of fine dining establishments. Depart from the Madrid Atocha station on Rail Europe for a one hour and 44 minute ride to this charming sun-drenched area that was one of the largest cities of the ancient world. Explore Old Town where you can still see the Roman walls standing and visit the Fernandina churches like Santa Marina which houses work by local artist Antonio del Castillo y Saavedra. Travel through the Catalan countryside from Madrid to the birthplace of Salvador Dali aboard the sleek double-deck French TGV high-speed trail that passes through Madrid. Relax in their state-of-the-art cars that whisk you to sites like the Dali Theatre and Museum where you’ll find the largest collection of his work in the world. Be in Paris in just two hours aboard the daily high-speed TGV Eurostar that whisks you to the City of Lights in record time. If you’d like an overnight adventure, the Elipsos train hotel departs Barcelona each evening for a 12 -hour trip with a la carte dinners and 4-bed sleeper cars. 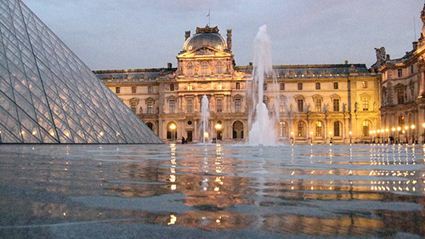 Embark refreshed and spend the day exploring the Louvre and dining on Paris delicacies before taking the high-speed train back to Madrid. In just an hour and a half, the high-speed AVE can deliver you to Zaragosa (also known as Saragossa) so you can spend the day exploring this charming city. 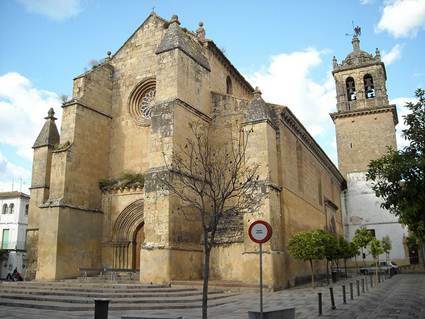 Try out the tapas bars or their famous regional dish, Bacalao al Ajoarriero (cod-fish with garlic and eggs) in between visits to the romantic castles and monasteries scattered throughout this picturesque city. You’ll find the rail services also offer package deals that include hotel accommodations, public transportation or rental car deals, dining coupons and comprehensive passes to museums and attractions.